Some people choose to sit back and relax once they get home. 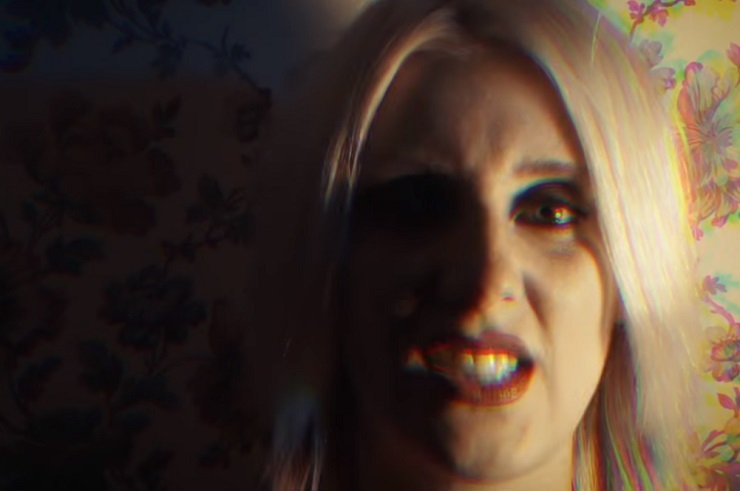 That's not exactly the case for White Lung vocalist Mish Barber-Way, who is found wildly thrashing about in her living room for the band's latest music video. The clip for Paradise cut "Dead Weight" was directed by John Stavas, and comes with a warning that its strobed effects are likely not suitable for anyone that has a history of suffering seizures. The vid finds Barber-Way headbanging, contorting, and shouting from within her California home, as the punky blast of her bandmates hovers in the air. You'll find the latest, ultra flashy music video for the Polaris short listers down below.